1 I take the phrase ‘Venturing into the Minefield’ from Selim Deringil (Deringil 2002: 35). 1One of the marginalized topics in the historiography of the Ottoman Empire in general, and that of the Armenian Genocide in particular, is the fate of ‘Armenian capital’ during World War I. * Ottoman historians have often been inclined to highlight the great achievements that Armenians made in the field of economy in the Ottoman Empire as sarrafs, bankers, merchants and industrialists. However, when a scholar starts examining or questioning the fate of ‘Armenian capital’ in the Empire, he/she is immediately suspected of having a political or nationalistic agenda. Scholars therefore usually try to avoid dealing with this ‘sensitive’ issue lest they anger the ‘lion in the cage’ or are marginalized by their colleagues for ‘venturing into minefields.’1 Hence, scholars always try to choose non-sensitive issues that deal with the social and economic dimension of Ottoman history. Yet questions remain as to why discussing the issue of prostitution in 18th-century Istanbul, for example, or epidemics in the 19th-century Ottoman Empire, should be considered legitimate subjects for inquiry, while questioning the fate of ‘Armenian capital’ is labeled troublesome and sensitive. The history of the Armenian contribution to the field of economy in the Empire and the subsequent destruction of ‘Armenian capital’ during World War I must be discussed as a regular and legitimate subject pertaining to both the history of the Ottoman Empire and that of modern Turkey. 2The use of the term ‘Armenian economy’ can be rather misleading. I have placed the phrase in quotes to signify that the ‘Armenian economy’ was an integral part of the Ottoman economy, directly influenced and nurtured by the economic, political and social transformations experienced in the Empire during the 19th century. Thus, I employ the term ‘Armenian economy’ to represent all those Armenians who were in some capacity involved in the economic activities of the Empire as merchants, industrialists, factory owners, middlemen, bankers, etc. This economy was specifically destroyed and confiscated during World War I because of its administration by Armenians. 3 On the history of the Armenians of Sivrihisar in the 19th century, see Der Hovannesian (1965). 5 Private archives of the Chatalian Family. 6 Armeno-Turkish was Ottoman Turkish written in the Armenian script. 3Research on the fate of ‘Armenian capital’ in the Ottoman Empire remains in its infancy for several reasons. We know for a fact that hundreds of Armenian merchants and commercial houses existed alongside factories in the Ottoman Empire during the late 1800s (Der Matossian 2007).One would speculate that each of these entities at least kept a partial archival record of its business transactions. One such archive, that of Mr. Krikor Chatalian, is at the disposal of the author of this article.2 Chatalian was an influential Armenian merchant from Sivrihisar3 (Ankara) at the end of the 19th century, trading in wool and cloths.4 His private papers consist of more than one thousand documents pertaining to his business transactions during the late 19th and early 20th centuries.5 In his public transactions with other merchants, he communicated in Ottoman Turkish, whereas in his private notebook he wrote in Armeno-Turkish.6 The quantity as well as the quality of these documents signifies, on the one hand, the amount of trade Krikor Chatalian was involved in and on the other, his impressive administrative abilities in bookkeeping and archival recording.7 A detailed examination of these documents sheds a vital light on the economic and the social history of Sivrihisar prior to the destruction of the ‘Armenian economy’ in the Empire. 4The private archives of these merchants, commercial houses, commercial firms and factories, if available, would demonstrate the complexity and enormity of ‘Armenian capital’ in the Ottoman Empire. However, these archives have not yet been examined or were destroyed along with ‘Armenian capital’ during the Armenian Genocide of World War I. Thus, the paucity of archival material on Armenian businesses creates a serious challenge to historians who aim to reconstruct the history of the ‘Armenian economy’ during the 19th century. One useful source is the history books that were written by Pan-Armenian Unions in the Diaspora during the post-genocide period. The main objective of these history-writing practices was to preserve the local identities of the Armenians. Ninety percent of these works were written in Armenian. While I would argue that much of this kind of literature presents a way of mourning the lost homeland, whatever was written during this period is unique: as far as I know there is no popular counterpart in Turkish during the same period of time. Although some of these pieces sound more folkloric than methodologically sound and historical, it does not undo the fact that they provide invaluable information on the ‘Armenian economy.’ For example, historians Arshag Alboyadjian, Hovakim Hovakimian, Puzant Yeghayan (Tokat, Trabzon, Adana) provide ample information on topography, Ottoman history, Armenians in Ottoman administration, and cultural and ethnographic dimensions (Alboyadjian 1952; Hovakimian 1967; Yeghyayan 1970). Another main source for reconstructing the history of the ‘Armenian economy’ is the Ottoman Archives, which hold a plethora of information on the economic history of the Empire. An important source in these archives lies in the documentation of the liquidation of the Armenian properties in the Empire during World War I, when a systematic process of confiscation began that ended with the appropriation of ‘Armenian capital’ during the Republican period. 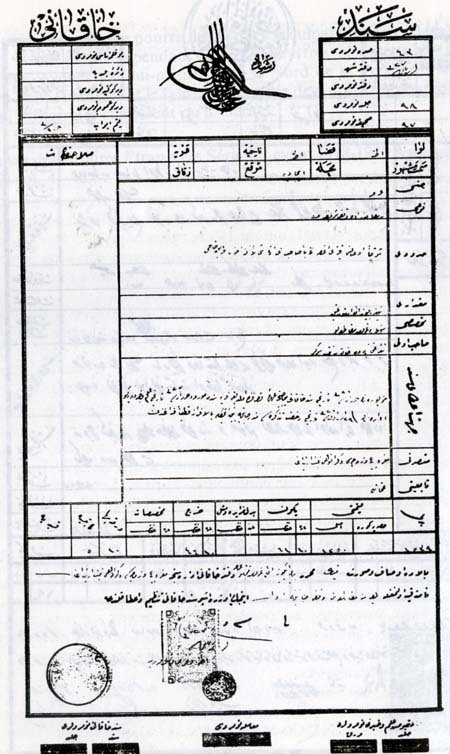 This confiscation process, which was initiated by the Abandoned Property Commission (Emvâl-i Metruke Komisyonu) and the Liquidation Commission (Tasfiye Komisyonu), was highly bureaucratized and involved keeping detailed registers of the items, properties, and capital that were confiscated from the Armenian deportees, with the claim that they would be returned to them in their “relocated” destinations.8 In other words, the documentation of ‘Armenian capital’ during the confiscation process should be considered both an important source for the reconstruction of the ‘Armenian economy’ on the eve of World War I, and a blue print for population engineering in Anatolia (Üngör 2008; Dündar 2001, 2008). 6Hence, by deviating from the narrative account, the following article aims at discussing the mechanism of this continuum from confiscation to appropriation from a historical perspective and will provide some answers regarding the fate of ‘Armenian capital’ as an important component of the economic dimension in the extermination process of the Ottoman Armenians. In addition, the transfer of ‘Armenian capital’ from the Ottoman Empire to the Republican era does not only demonstrate a historical continuity, but also sheds light on capital movements during different political regimes and the role that this capital plays in the creation of new economic classes and in strengthening the position of local elites. 7In the 19th century, European merchants recognized the economic potential of Anatolia. For them, this was a land of opportunity for the export of manufactured goods from Europe and the import of agricultural products to the West (Gerasimos 1992: 7).What gave a boost to the economic relationship between the West and the Ottoman Empire, however, was the Anglo-Ottoman Convention of 1838, otherwise known as the Balta Liman Treaty. The treaty launched the beginning of free trade with Europe, with lower taxes on trade and the abolition of state monopolies. The Greek and Armenian merchants who were considered the traditional intermediaries between the European countries and the Ottoman Empire benefited from these transformations by subsequently becoming the commercial bourgeoisie class of the Empire (Pamuk 1984: 18-19). 13 İpekji in Turkish means silk manufacturer. 8In the second half of the 19th century, several cities in Anatolia witnessed considerable population and economic growth. This was due to an increase in the phenomenon of urbanization,11 the expansion of the communication network,12 the opening of the Anatolian market to the West, administrative reforms, and an increase in social mobility. This in turn led to the increase in the size of the non-Muslim bourgeois class, especially that of the Armenians and the Greeks. The ‘Armenian economy’ played a significant role on three geographic levels – the central cities (Istanbul, Ankara, Trabzon), the peripheral cities (Kayseri, Harput, Tokat) and the international cities (London, Manchester). For example, in the 19th century, Kayseri became an important center for manufacturing and supplying goods to Adana, Yozgat, Agn, Tokat, Sivas and Istanbul. Some 15,000 Armenians lived in the city of Kayseri by the end of the 19th century and Armenian merchants played an important role in the economy of the city both locally and internationally. Soon, some of these merchants began expanding their business network to include such cities as Istanbul and Manchester. This network was controlled by such famous merchant houses as the Gulbenkians, Manugians, Frengians, Gumushians and Selians. Harput was an important center for the silk culture because of its climate and large mulberry gardens. Some Armenian students studied silk culture in Bursa’s Silk School (Dalsar 1960). The production process began with the raw cocoons and culminated with the packaging of new fabric. In the 19th century, the two large families that controlled the silk production were the Fabricatorian Brothers in Mezere (Harput) and Effendi Kurkjian. The Fabricatorian Commercial House,for instance, was founded in Mezere by Krikor Ipekjian,13 who later adopted the name Fabricatorian (Kalustian 1986: 8).The silk that was produced in this factory was of such excellent quality that it was exempted from taxes and given free warehousing and dock facilities in Istanbul. The silk cloths produced carried the label ‘Fabrikator.’ In 1889, Ipekjian began enlarging his factory by importing machines from Europe and America. After his death in 1902, his five sons, Minas, Dikran, Samuel, Garabed and Aharon, took over and improved the business. The Fabricatorian brothers, along with their wives and children, were all killed during the Armenian Genocide, thus effectively putting an end to their commercial legacy in Harput (Haig 1959).The Vali of the district as well as other Turkish officials took their houses (Jafarian 1989). 14 Manifatura is Italian for manufactured products. 9The major commercial houses in Tokat at the end of the 19th century were in the hands of the Armenians. During this period, the main commercial houses importing manifatura14 in Tokat were the Ibranossian Brothers, Kevork and Hagop Papazian Brothers, Mardiros Zartarian, Karatavukian, and H. Kechejian and his sons, whereas the merchants of hurdavat (junk dealers) were Mardiros Kesdekian, Garabed Tashjian, Karnig Naregian, and Hagop Peyniremezian. The most important house of export was the Gulbenkian firm, which, like the Ibranossian firm, had agents in all of the provinces.15 Armenian merchants and industrialists were also very influential in the provinces of Trabzon. The prominent merchants of the sanjak of Trabzon were Boghos Arabian, Gayzag Arabian, Ibranosians, Marranians, H. Tahmazian, A. Minassian, Gureghian, Aslanian and the Aghnavorian brothers, who controlled the hazelnut business in the province (Der Matossian 2007; Dsotsigian 1947).Armenians in the caza of Samsun excelled in the cultivation and production of tobacco; famous merchants and tobacco producers included the Ipekians, Kherians, Ibranossian brothers, Gudugians, Meserians, Aprahamians, Bahchegulians and the Chekmeyans. 17 ‘Haykakan Pank,’ [Armenian Bank] in Jamanag, 5 December 1908: 1. 10The situation changed, however, during the last two decades of the 19th century with the economic depression of 1870-1890 and the escalation of ethnic tensions in Anatolia (Pamuk 1984; Owen 1993).16The ‘Armenian economy’ received a fundamental blow during the Hamidian Massacres of 1894-96 as they led to a massive destruction of Armenian businesses and confiscation of Armenian properties in Anatolia. This led to the deterioration of the existing agrarian question in Anatolia and the polarization of the Armeno-Turkish conflict (Astourian 2011). The overthrow of the despotic Hamidian regime by the Young Turk revolution of 1908, however, provided new hope for the ‘Armenian economy’ in the Empire. The land reform became a source of contention between the Armenians and the new regime. For example, the policy of one of the major Armenian political parties, namely the Armenian Revolutionary Federation (A.R.F), towards the Committee of Union and Progress (CUP) revolved around two main goals: reform and land restitution. Land restitution concerned Armenian properties that had been confiscated during the Hamidian period; reform was the unsolved issue of the reform of the Empire in general and the improvement of the condition of Armenians in particular (Kaligian 2009).Armenian hopes were so high in this period that there were even calls to concentrate ‘Armenian capital’ in one institution, i.e. to establish an Armenian Ottoman Bank,17 but the Adana Massacres of 1909 during the counter-revolution took the lives of more than 20,000 Armenians and 2,000 Muslims and shook the foundations of the ‘Armenian economy’ yet again. In addition, the further deterioration in ethnic relations during the second constitutional period, which manifested itself in the Balkan Wars of 1912-13 and was followed by a massive boycotting of non-Muslim (Greek, Armenian and Austrian) products, led to the decline of Armenian trade. The radicalization of Turkish nationalism after the Balkan Wars manifested itself in changes in the CUP’s policy toward the Christian populations living in the Empire, especially Armenians. Meanwhile, a theory of national economy [Milli İktisat] was being developed which strove to eliminate the Armenian and the Greek presence from the field of economy by calling on the Turkish element to develop a capitalist bourgeoisie that would take over the prominent role played by Armenians and Greeks (Toprak 1982; Aktar 1996, 2003, 2006; Astourian 1990). This further encouraged economic boycotts by the Turks or Muslims in general; these began during the Balkan Wars and intensified during World War I. The ensuing war and the Armenian Genocide led to the demise of the ‘Armenian economy’ in the Empire. Hilmar Kaiser argues that on January 6, 1916, Interior Minister Talaat categorically stated that the Ottoman economy had to become Muslim. In addition, he decreed that Armenian property must fall into Muslim hands (Kaiser 2006: 64). 11The process of confiscating ‘Armenian capital’ is important in understanding the institutional continuity that marked the transition from empire to republic. The issue of confiscating goods – or the appropriation of ‘Armenian capital’ during the Armenian Genocide – needs to be examined thoroughly to demonstrate the extent to which confiscated capital played a role in the economy of the then newly-born Turkish Republic. In this case, the institutional continuity is evident as it starts during the Ottoman period (confiscation) and ends during the Turkish Republic (appropriation). 12When the Ottoman Empire entered World War I, the government enacted a series of Temporary Laws18 that aimed at making the government’s policies malleable to the existing political situation and facilitating the attainment of its objectives (Onaran 2010: 34). 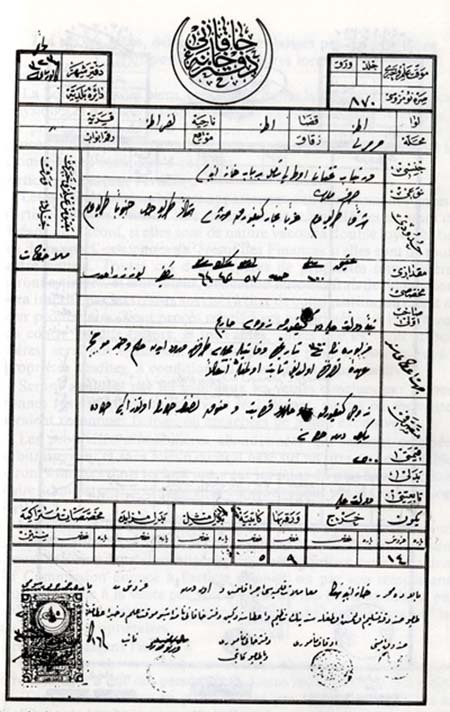 Thus, a wide campaign of property confiscation took place in the eastern provinces that included almost anything that could be considered under the general category of supplies and provisions for the Ottoman Army (Vartan 1970:143-152).The first of these decrees was made on the 30th of May 1915 by the decision of the Council of Ministers [Bakanlar Kurulu].19 The decision indicated that ‘the Armenians, who are to be receded from the villages and towns…shall be transferred to their allocated places in comfort, their well being and possessions shall be secured during their voyage, and the expenses to be encountered in their thorough relocation to the allocated places shall be met by the immigrant funds; they shall be given properties and land in proportion to their previous financial and economic means.’ This decision, along with 15 articles, was sent to the Ministry of the Interior, Ministry of War, and Ministry of Finance.20 On the 10th of June, a Supplementary Law (SL) was enacted that contained instructions on how to register and protect the properties of the deportees and how to dispose of others through public auctions (the revenues of which were to be given to the owners upon their return from the war, according to the law).21 This Supplementary Law [SL] consisting of 34 articles was classified under ‘The regulations concerning the management of the land and the properties belonging to the Armenians who have been sent elsewhere as a result of the state of war and extraordinary political situation.’22 The government and the officials responsible for the abandoned properties were supposed to take protective measures to safeguard the properties of the Armenian deportees through the establishment of special commissions called Emvâl-i Metrûke İdare Komisyonları [Abandoned Properties Administration Commissions]. These commissions were under the authority of the Ministry of Internal Affairs and were supposed to report about their activities every 15 days. Indeed, the articles of the law stipulated careful and systematic treatment of the movable and the immovable properties of the Armenians. There were special registers in which the names of the owners and the types of the goods that were confiscated were to be recorded in detail.23 Later on, the local government was supposed to send these belongings to the places where the population resettled. List receipts of the confiscated properties were given to the Armenians before their ‘departure.’ (See below an example of a receipt given by the commission to Mariam from Adana) (Baghdjian 1987: 287-288). 24 Article 1 of the Supplementary Law. 25 Article 2 of the Supplementary Law. 26 Article 11 of the Supplementary Law. 28 Article 14 of the Supplementary Law. 29 Article 17 of the Supplementary Law. 30 On the settlement of the Muslim migrants see Kaiser (2006: 64-66). 33 See articles 3, 4, 5, 6, 12, 17, and 21 of the Supplementary Law. It is unlawful to designate the Armenian assets as ‘abandoned goods’ for the Armenians, the proprietors, did not abandon their properties voluntarily [isteyerek terketmemişler]; they were forcibly, compulsorily removed [teb’id edilmiş] from their domiciles and exiled. Now the government through its efforts is selling their goods...Nobody can sell my property if I am unwilling to sell it...If we are a constitutional regime functioning in accordance with constitutional law we cannot do this. This is atrocious. Grab my arm, eject me from my village, then sell my goods and properties, such a thing can never be permissible [Beni kolumdan tut, köyümden dışarı at, malımı, mülkümü de sonra sat, bu hiçbir sonuç vermez]. Neither the conscience of the Ottomans nor the law can allow it (Bayur 1983: 48). All the properties of the Armenians were confiscated, nominally to the state for the war fund. In this way all the Armenian houses, stores, shops, fields, gardens, vineyards, merchandise, household goods, rugs, were taken. The work was the charge of a commission, the members of which I met personally a number of times. It was commonly said that the commission did not actually receive enough for the government purposes to cover its expenses. Real estate was put up for rent at auction and was most of it bid in at prices ridiculously low by persons who were on the inside. This I know not only as a matter of common information but directly from a Turkish attorney who was in our employ and who provided himself with one of the best Armenian houses. Turks moved out of their more squalid habitations into the better Armenian houses whose owners had been ‘deported.’ All the property of the Armenians except some remnants left to the Armenians who had embraced Mohammedanism was thus plundered (Barton 1998: 82). The commission began its work of disposition by breaking into Armenian stores one by one and selling their contents at auction[s]. The chairman of the commission, Nabi Bey, took me with him so that I could keep a record of the merchandise sold. With us were two policemen and an auctioneer. The ritual was the same at each store. First they examined the door seal, then broke it. Next they forced the door open, and then put up the merchandise for auction. Neither the sellers nor the buyers knew the actual value of the goods. As a result, items would sell for many times their worth, or conversely, many times less than they were worth. No one was concerned with accurate appraisals. In the evening Nabi Bey took the account records home with him. At night he juggled the accounts, pocketing a share of the proceeds. The following day, when I saw the recorded entries in the office files, the figures were in his handwriting — not my originals — and the amounts altered. Actually we found relatively little in these stores because the local government officials would enter these buildings at night through a hole made in the roof or a wall, and they would steal a large share of the goods (Sarafian 2006: 291). 23C. The government usurped the valuable deposits of the Armenians of Sivas that were left as security against loans taken out from the Ottoman Bank (Kapigian 1924: 153-155). 24D. When the Armenians were deported, the government confiscated their movable and immovable goods. The goods were sold at cheap prices by running a bazaar. On the 27th of June 1915 the Ministry of Interior sent a ciphered telegram to the provinces of Sivas, Trabzon and Mamuretulaziz and to the governor of the sancak of Canik, in which it discussed the regulations concerning the safekeeping of the possessions of Armenians whose “transfer” has been decided.44 Two months later, on the 11th of August 1915, a ciphered telegram from the Ministry of the Interior was sent to the various provinces and governors of sancaks, including Sivas, claiming that the immovable properties of relocated Armenians had been sold under their real value.45 It could be that this last round of telegrams was sent when the huge wave of selling confiscated properties had commenced. 25E. During deportation, the gendarmes took 30-50 gold pieces by force from each caravan as selametlik [safety commission]. In addition, there was a toprak basti [stepping on land] fee taken from the caravans whenever they entered the territories of Kurdish and Turkish beys or when they crossed into province on their way to the south. 26F. The government sent out special groups called the Emniyet Komisyonu [Safety Commission] who were charged with taking valuable possessions under the pretext that the roads were too dangerous and that the Kurds were continuously attacking the caravans. When the caravans reached their destination, the safety commission was supposed to return these possessions to their rightful owners, but this return never took place. The cash, gold, jewelry, stocks, bonds and other valuable items were taken from the caravans in the most vicious manner. Eyewitness accounts indicate that the safety commission officers beat the Armenians, forcing them to hand over their possessions. Ironically, the concepts of violence and safety (commissions) were conflated. 27In the end, the Armenian properties served several goals: they were used to satisfy the needs of the Muslim refugees, to create a Muslim bourgeois class, to satisfy the military necessities during the war, to cover the government’s expenses of deporting the Armenians, to satisfy various government necessities, and finally to establish irregular militias (Onaran 2010: 124-128; Akçam 2009: 223-236). 46 MMZC, Kanûn-ı Evvel, 1334, pp. 112-113. ‘The Turkish Government recognises the injustice of the law of 1915 relating to Abandoned Properties [Emval-i-Metroukeh], and of the supplementary provisions thereof, and declares them to be null and void, in the past as in the future. 51 Law No. 1042, of May 23, 1927 (Flourno and Hudson 1929: 596). 30The Treaty of Sèvres was annulled by Treaty of Lausanne, thus preventing the implementation of Article 144. Even before Lausanne, the Grand National Assembly in Angora passed another law entitled ‘Law of Abandoned Properties’ on April 15, 1923, stipulating that properties of all the non-Muslims who had left before the Treaty of Lausanne would pass to the Turkish government.50 Appropriation efforts continued in the Republican period. To ensure that confiscated property could not be reclaimed the Turkish government promulgated a law forbidding the return of the Armenian deportees of Cilicia and the Eastern Provinces to Turkey after the Treaty of Lausanne was ratified. Furthermore, on May 23, 1927 a second law was passed by the government which stated that ‘Ottoman subjects who during the War of Independence took no part in the National movement, kept out of Turkey and did not return from July 24, 1923 to the date of the publication of this law, have forfeited Turkish nationality.’51 In addition to this, a subsequent law passed on May 28, 1928 stipulated that ‘those who are deprived of their Turkish citizenship shall be expelled if they are in Turkey. The return to Turkey of all persons deprived of their Turkish citizenship is prohibited. Their property is subject to liquidation by the Government’ (Flourno and Hudson 1929: 571).Together all of these regulations prevented the return of the Armenian survivors and deprived them of any avenues to reclaim their property. In doing so, the Turkish government transferred the “abandoned” properties to the newly migrated population. 31The Supplementary Law discussed in this paper covered only one dimension of the confiscation process of ‘Armenian capital.’ The following points need to be taken into consideration for future research about the fate of the ‘Armenian economy’ in the Ottoman Empire. 321) As mentioned earlier, the registers of the Abandoned Property Commission [Emvâl-i Metruke Komisyonu] and the Tasfiye Komisyonu [Liquidation Commission] must be thoroughly examined. This will give us a better understanding of the economic dimension of the Armenian Genocide and the mechanism of confiscation and will provide us with important information regarding confiscated materials in different geographical regions. 332) According to Uğur Ümit Üngör the Republican Archives in Ankara [Başbakanlık Cumhuriyet Arşivi] offer ample documentation on the ways in which the Kemalist regime dealt with perpetrators of the Armenian Genocide (Üngör 2010).52 Based on extensive research done in the Republican Archives Üngör demonstrates how the Kemalist regime generously compensated the génocidaires’ families with Armenian ‘abandoned property’ [emvâl-ı metruke] (Üngör 2010: 5-6).Thus, the Republican archives in Ankara are vital for studying the confiscation and subsequent redistribution of the Armenian property. 354) Armenian citizens of the Empire held insurance with the Ottoman Public Insurance Company [Osmanlı Umum Sigorta Şirketi], the Turkish National Insurance Company [Turk Milli Sigorta Şirketi] and other Western companies (New York Life, Consolidate Life, Gresham Life, Rus). A detailed examination of the list of names of the insurance holders will provide us with a better understanding of the number of the Armenians who held policies with Ottoman insurance companies in comparison to the European and American ones. 376) In addition, a comparative study on ‘abandoned property’ laws from the perspective of ‘nation-state building’ would be productive. Two particularly germane examples are the Pakistani/Indian case and that of Israel/Palestine.55 In both cases, states were created from previously British-ruled areas by means of UN resolutions. Both Pakistan and India were established in the context of inter-communal violence resulting from the British partition of India on August 15, 1947. The partition resulted in the deaths of more than half a million people and an estimated 14-17 million people crossed the Indo-Pakistani border, leaving behind huge amounts of movable and immovable properties (Bhusan and Gupta 1958).Both governments agreed that the issue of the abandoned property should be addressed on a government-to-government basis. As a result, negotiations took place in order to find a permanent solution to the problem. At the same time, both India and Pakistan legally appropriated the lands of the displaced population to serve in the resettlement of refugees on both sides. After the 1948 war and as a result of the expulsion and flight of hundreds of thousands of Palestinian refugees, the newly created state of Israel dealt with the same issue of Abandoned Property [nekhesim netushim] and enacted a series of laws that legalized the appropriation of Palestinian properties and their redistribution to the newly arriving Jewish immigrants from Europe and Arab countries.56 These laws were influenced by British, Indian, and Pakistani legislation. 57 On the fate of the Armenian Church during the Genocide see (Payaslian 2006). 38This article has aimed to demonstrate the fate of ‘Armenian capital’ in the Ottoman Empire and to identify questions and issues for further research that may elucidate the role played by this capital in the establishment of the Turkish Republic. The Supplementary Law, with its contradictory articles, represented measures for the demographic homogenization of Anatolia. As Kaiser rightly notes, the entire Ottoman government apparatus, which included several central government ministries, provincial and local authorities, as well as village elders, was involved in transferring private, ecclesiastical and community-owned Armenian property into either private or public hands (Kaiser 2006: 70).57 The subsequent treaties and the laws that were passed during the Republican period after the Armenian Genocide finalized the transfer of ‘Armenian capital.’ This raises important questions regarding the ways in which governments use the medium of law and legality in order to rationalize the confiscation and subsequent appropriation of the properties of the expelled/transferred/exterminated indigenous populations. The aim of using law and legality is to create a degree of state control over the situation and to avoid the spontaneous seizure of ‘Abandoned Property’ by the local population. In the Ottoman case, despite the fact that the government proclaimed itself the sole legitimate entity in administering the confiscation of Armenian property through detailed bureaucratic registration, the reality on the ground looked quite different, as many local officials, Kurdish Aghas, and irregular troops, saw this as an unique opportunity for financial gain. They thus took an active role in looting movable Armenian property and, to a lesser extent, immovable property. I say lesser extent because it was the newly created Republic of Turkey that was going to act as the legitimate distributor of Armenian capital to the local population. In doing so, the Turkish government, like its Ottoman predecessor, aimed to create a new loyal bourgeoisie class by initiating radical spatial modifications and supporting the redistribution of ‘Armenian capital’ to the local elites – members of the CUP, Muslim businessmen, traditional dignitaries and land owners (Üngör 2010; Kaiser 2006: 62-64). Hence, the confiscation/appropriation continuum of Armenian property constitutes a key component in the historical continuity evident in the transition from Empire to Republic. Adıvar, Halide Edib(1926) Memoirs of HalideEdib, New York, London, The Century co.
Akçam, Taner (2006) A Shameful Act: the Armenian Genocide and the Question of Turkish Responsibility, New York, Metropolitan Books. Akçam, Taner (2008) Ermeni Meselesi Hallolunmuştur: Osmanlı Belgelerine Göre Savaş Yıllarında Ermenilere Yönelik Politikalar, Cağaloğlu, İstanbul, İletişim Yayınları. Aktar, Ayhan (1996) ‘Economic Nationalism in Turkey: The Formative Years, 1912 – 1925,’ in Boğaziçi Journal, Review of Social and Administrative Studies 10/1-2, pp. 63-62. Aktar, Ayhan (2002) ‘Son Osmanl‎ı Meclisi ve Ermeni Meselesi: kası‎m-aralı‎k 1918’ [The Last Ottoman Parliament and the Armenian Question: November-December 1918], in Toplum ve Bilim, [Science and Society] 91, pp. 142-166. Aktar, Ayhan (2003) ‘Homogenizing the Nation, Turkifying the Economy: Turkish Experience of Populations Exchange Reconsidered’, in Hirschon Renée (ed.) Crossing the Agean: An Appraisal of the 1923 Compulsory Exchange between Greece and Turkey, New York, Oxford, Berghahn Books, pp. 79-95. Aktar, Ayhan (2006) Türk milliyetçliği, gayri müslimler ve ekonomik dönüşüm (The Turkish Nationalism, non-Muslims and the Economic Transformation) Istanbul, Iletisim Yayınları. Alboyadjian, Arshag (1952) Patmutiwn Ewdokioy Hayots: teghagrakan, patmakan ew azgagrakan teghekutiwnnerov [History of the Armenians of Tokat with Topographic, historical and ethnnographic information], Cairo, Publication of New York Tokat Educational Organization. Aly, Götz (2007) Hitler’s Beneficiaries: Plunder, Racial War, and the Nazi Welfare State, Translated by Jefferson Chase, New York, Metropolitan Books/Henry Holt. Astourian, Stephan (1990) ‘The Armenian Genocide: An Interpretation’,in The History Teacher, vol. 23, n° 2, February. Astourian, Stephan (2011) ‘The Silence of the Land: Agrarian Relations, Ethnicity, and Power’, in Suny, Ronald Grigor; Göçek, Fatma Müge; Naimark, Norman M. (eds. ), A Question of Genocide: 1915: Armenians and Turks at the End ofthe Ottoman Empire, Oxford and New York, Oxford University Press, pp. 55-81. Baghdjian, Kévork (1987) La Confiscation, par le gouvernement turc, des biens arméniens...dits « abandonnés », Montreal. Barton, James L. (1998) Turkish atrocities : statements of American missionaries on the destruction of Christian communities in Ottoman Turkey, 1915-1917, Ann Arbor, Mich., Gomidas Institute. Bayur, Yusuf Hikmet (1983) Türk Inkilâb Tarihi , Cilt III, Ankara, Türk Tarih Kurumu. Bhusan, Jyoti; Gupta, Das (1958) Indo-Pakistan Relations, 1947-1955, Amsterdam, Djambatan. Çetinoğlu, Sait (2006), ‘Sermayenin Türkleştirilmesi,’ in Fikret Başkaya (ed.) Resmi Tarih Tartışmaları, Özgür Üniversite Kitaplığı. Der Hovannesian, Krikor (1965) Badmakirk Sivrihisari Hayots: Deghakragan, Badmagan yev Azkakragan (History of the Armenians of Sivrihisar: Topographic, historical and ethnographic), Beirut, Meshag Publication. Dalsar, Fahri (1960) Bursa’da İpekçilik, Istanbul. Der Matossian, Bedross (2007) ‘The Armenian Commercial Houses and Merchant Networks in the 19th Century Ottoman Empire’, in TURCICA, 39, Fall, pp. 147-174. Der Matossian, Bedross (2009)‘The Pontic Armenian Communities in the 19th Century’, in Armenian Pontus: The Trabzon-Black Sea Communities, ed., Richard G. Hovannisian, UCLA Armenian History and Culture Series, 8, Costa Mesa: Mazda Press, 2009. Deringil, Selim (2002) ‘The Study of the Armenian Crisis of the Late Ottoman Empire, or, Seizing the Document by the Throat’, in New Perspectives on Turkey, 27, Fall, pp. 35-59. Dsotsigian, S.M (1947) Arewmetahay Ashkharh (Western Armenia), New York. Dündar, Fuat (2001) İttihat ve Terakki'nin Müslümanları İskân Politikası, 1913-1918, İstanbul: Cağaloğlu, İletişim Yayınları. Dündar, Fuat (2008) Modern Türkiye'nin şifresi: İttihat ve Terakki'nin etnisite mühendisliği, 1913-1918, Cağaloğlu, İstanbul, İletişim, 2008. Feldman, Gerald D. and Seibel, Wolfgang (eds.) (2004) Networks of Nazi Persecution: Bureaucracy, Business and the Organization of the Holocaust, New York and Oxford, Berghahn Books. Fischbach, Michael R. (2003) Records of Dispossession: Palestinian Refugee Property and the Arab-Israeli Conflict, New York, Columbia University Press. Flourno, Richard W.; Hudson, Manley O (1929) A Collection of Nationality Laws of Various Countries as Contained in Constitutions, Statues and Treaties, New York, Oxford University Press. Gerasimos, Augistinos (1992) The Greeks of Asia Minor: Confession, Community and Ethnicity in the Nineteenth Century, Kent, The Kent State University Press. Ghazarian, K. Haygazn (1964) “Hayotz Lekial Koykeru yev Galvadzneru Talane Turkeru Goghme” [The theft of the Armenian Abandoned Properties by the Turks], in Hayrenik, 6 October and 7 October. Ghazarian, K. Haygazn (1968) Tseghasban Turkeh [The Genocidal Turk], Beirut, Hamazkayin Press. Haig, Vahe (1959) Kharpert yev anor Vosgeghen Tashduh [Kharpert and Her Golden Plain], New York. Halacoğlu, Yusuf (2001) Ermeni Tehciri ve Gerçekler, 1914-1918, Ankara, Türk Tarih Kurumu Basımevi. Hovakimian, Hovakim (1967) Patmutiwn Pontosi [The History of Pontus], Lebanon, Meshag Publishing House. Issawi, Charles (1980) The Economic History of Turkey, 1800-1914, Chicago, London, The University of Chicago Press. Issawi, Charles (1982) An Economic History of the Middle East and North Africa, New York, Columbia University Press. Jafarian, Boghos (1989) Farewell Kharpert: The Autobiography of Boghos Jafarian, ed. Leon Mangasarian, Madison, WI, C. Mangasarian. Jernazian, Ephraim K. (1990) Judgment Unto Truth: Witnessing the Armenian Genocide. Translated by Alice Haig, New Brunswick, Transaction Publishers. Kaiser, Hilmar (2006) ‘Armenian Property, Ottoman Law and Nationality Policies during the Armenian Genocide, 1915-1916’, in Farschid, Olaf et al, The World War I as Remembered in the Countries of the Eastern Mediterranean, Beirut, Orient-Institute Beirut. Kaligian, Dikran Mesrob (2009) Armenian Organization and Ideology under Ottoman Rule 1908-1914, Transaction Publishers: New Brunswick and London. Kalustian, Mark, (1986) ‘The Fabrikatorian Brothers: Textile Kings of the Ottoman Turkey’, in Armenian Mirror Spectator, Feb.1, p. 8. Kapigian, Garabed (1924) Eghernabadoum Pokoun Hayots ev norin medzi mayrakaghaki Sebastio, Boston, Hayrenik Press. Kardeş, Salâhaddin (2008)‘Tehcir” ve Emval-i Metrûke Mevzuatı,’ Ankara, T.C. Maliye Bakanlığı. Kieser, Hans-Lukas (2000) ‘Some Remarks on Alevi Responses to the Missionaries in Eastern Anatolia (19th-20th cc. )’, in Altruism and Imperialism: The Western Religious and Cultural Missionary Enterprise in the Middle East, Middle East Institute Conference, Bellagio Italy. Kuyumdjian, Lut‘fik (1928, 1929, 1931, 1932, 1939), Lk’eal goyk‘eru harc’er [The Question of Abandoned Property], General Year Book of the National Hospital, Istanbul. Kuyumjian, Dikran (1998) ‘La confiscation des biens et la destruction des monuments historiques comme manifestations du processus génocidaire’, in L’Actualité du génocide des Arméniens, Actes du colloque. Organisé par le Comité de défense de la cause arménienne à Paris-Sorbonne. Marashlian, Levon (1999) ‘Finishing the Genocide: Cleansing Turkey of Armenian Survivors, 1920-1923’, in Hovannisian Richard, (ed.) Remembrance and Denial: The case of the Armenian Genocide, Detroit, Wayne State University Press, pp. 113-145. McDowall, David (2000) A Modern History of the Kurds, Revised Ed., London, I. B. Tauris. Owen, Roger (1981) The Middle East in the World Economy 1800-1914, London. Pamuk, Şevket (1984a) Osmanlı Ekonomisi ve Dünya Kapitalizmi (1820-1913): Ticaret, Sermaye ve Üretim İlişkiler, Ankara, Yurt Yayıncılık. Pamuk, Şevket, (1984b) ‘The Ottoman Empire in the “Great Depression” of 1873-1896,’ in Journal of Economic History; vol. 44, n° 1, March, pp. 107-118. Payaslian, Simon (2006) ‘The Destruction of the Armenian Church during the Genocide,’ in Genocide Studies and Prevention, 1:2 Fall, pp. 149-71. Polatel, Mehmet, (2010)‘Ittihat Terakki ‘den Kemalist Ermeni Mallari,’ in Toplum ve Kuran, 3, Bahar-Yaz, pp. 113-152. Polatel, Mehmet, (2009) ‘Turkish state formation and the distribution of the Armenian abandoned properties from the Ottoman Empire to the Republic of Turkey (1915-1930)’. Unpublished M.A thesis, Boğaziçi University. Prime Minster Directorate (1982) Documents, vol. 1, Ankara. Quataert, Donald (2000) The Ottoman Empire, 1700–1922, Cambridge, Cambridge University Press. Sarafian, Ara (2008) United States Official Records on the Armenian Genocide 1915-1917, Gomidas Institute, Princeton and London. Toprak, Zafer (1982) Türkiye’de ‘Milli İktisat’(1908-1918), Ankara, Yurt. Torigian, Shavarsh (1973) The Armenian Question and International Law, Beirut, Hamaskaïne. Üngör, Uğur Ümit (2008)‘Geographies of Nationalism and Violence: Rethinking Young Turk ‘Social Engineering’’, in European Journal of Turkish Studies, URL : http://ejts. revues.org/index2583.html. Üngör, Uğur Ümit (2010) ‘Skeletons in the Closet? Notes on the Armenian Genocide in Turkish Republican Sources’, Workshop ‘The State of the Art of Armenian Genocide Research: Historiography, Sources, and Future Directions’, Strassler Center for Holocaust and Genocide Studies, Clark University, 8-10 April 2010. Üngör, Uğur Ümit; Polatel, Mehmet (2011), Confiscation and Colonisation: The Young Turk Seizure of Armenian Property, London, New York, Continuum. Vartan, Levon (1970) Haykakan Tasnehinke yev Hayeru Lekyal Kuykere : Knnagan agnarg esd Terkagan vaverakrereu [The Armenian 15 and the Abandoned Properties of the Armenians : Critical commentary according to Turkish documents], Beirut, Atlas Publication House. Yeghiayan, Puzant (1975) ‘Hayoc‘ "lk‘eal goyk" T’urk‘ioy mech’, [Abandoned Property in Turkey] in Contemporary History of the Armenian Catholicossate of Cilicia 1914-1972 [in Arm. ], Antelias. Yeghyayan, Puzant (1970) Atanayi Hayots` Patmut`iwn [The History of Armenians of Adana], Beirut, Publication of Adana Compatriot Union. * I would like to thank Ari Ariel and Banu Karaca for their useful comments. I would also like to thank the three anonymous reviewers for their useful comments. Of course, I alone am responsible for this article. 2 According to Mrs. Arusyag the family was given the surname Chatalian due to the closeness of the four brothers in business. In Turkish çatal means a fork. The houses of the Chatalian brothers were built beside each other, which reminds us of the Fabricatorian brothers of Harput. Interview with Mrs. Chatalian at her residence in the Armenian Quarter of Jerusalem (August 5, 2002). 7 This is an important point as it shows the development of accounting and bookkeeping at the end of the 19th century. 8 The Turkish official thesis argues that the revenue from the properties of the Armenians that were sold by the Abandoned Properties commission was sent to their original owners (Halacoğlu 2001: 69; Kardeş 2008). 9 In Ottoman see Documents, vol. 1 (Ankara, 1982) and various publications of the Prime Minister Directorate. In European languages see Kaiser (2006); Torigian (1973); Baghdjian (1987); Karagueuzian and Auron (2009); Kuyumjian (1998); Marashlian (1999). 10 From Leslie A. Davis to the American Consul of Harpout to Honorable Henry Morgenthau, American Ambassador, Istanbul, June 30, 1915. Source: NA/RG59/867.4016/269. (Sarafian 2006: 459). 11 For example, in the last two decades of the 19th century nearly a quarter of the population of Anatolia was living in those cities of ten thousand or more inhabitants. 12 Besides the expansion of a road network that facilitated the expansion and movement of goods overland, the appearance of steamships in the Empire in the late 1830s led to a significant transformation of the nature of commerce in the Empire. The central Anatolian cities became more attached to the world economy through the ports of Trabzon and Mersin. On the development of transportation see Quataert (2000: 117-124); Issawi (1980, 1982). 15 This was the Gulbenkian family from which emerged Calouste Sarkis Gulbenkian (1869-1955), the Armenian businessman and philanthropist also known as Mr. Five Percent for owning 5% of Iraqi Petroleum Company (IPC). Gulbenkian played a major role in the oil business in the Middle East in the first half of the 20th century. 18 These Temporary Laws regulated such varied areas as the telegraphic and postal systems to the release of criminals. In glancing through the official gazette, Takvim-i Vekayi, from November 18, 1914 to November 13, 1915 one notices numerous examples of Temporary Laws. As a matter of fact, the number of Temporary Laws published under the rule of the CUP until 1918 was above 1000. 19 ‘Ahvâl-i harbiye ve zarûret-i fevkalâde-i siyasiye dolasyisiyle mahall-i ahire nakilleri icrâ edilen Ermenilerin iskân ve iaşesiyle husûsat-i sâireleri hakkinda talimât-nâme,’ in Genelkurmay Başkanlığı, Arşiv Belgeleriyle Ermeni Faaliyetleri, 1914-1918. Cilt I (Ankara: Genelkurmay Basımevi), 428. 20 ‘Savaş hâli ve olağanüstü siyasî zorunluluklar dolayısıyla, başka yerlere nakledilen Ermenilerin iskân ve iaşeleri ile diğer konular hakkında yönetmeliktir.’ See Genelkurmay Başkanlığı, Arşiv Belgeleriyle Ermeni Faaliyetleri, 1914-1918. Cilt I, pp. 132-133. 21 ‘Harp hâli ve olağanüstü siyasî zorunluluklar dolayısıyla başka yerlere nakledilen Ermenilere ait mal, mülk ve arazilere uygulanacak idare hakkında yönetmeliktir.’ See Genelkurmay Başkanlığı, Arşiv Belgeleriyle Ermeni Faaliyetleri, 1914-1918. Cilt I, pp. 139-142. On the stages of the enactment of the supplementary law see Kaiser (Kaiser 2006 : 56-62). 22 ‘Harb ve Olağanüstü Siyasi Durum Sebebiyle Başka Yerlere Gönderilen Ermenilere Ait Mülk ve Arâzînin İdâre Şekli Hakkında Talimât-nâme.’ 27 Recep 1333 and 28 May 1331 (10 June 1915). The 34 articles of the law are reproduced in Prime Ministry Directorate General of Press and Information, Documents,vol. 1, Ankara, 1982, pp. 6-80. 23 For the registers of the liquidation commissions see ‘Emval-i Metrûke Tasfiye Komisyonlarının Esas Defteri,’ in Takvim-i Vekayi, 28 Teşrinievvel 1331, # 2343. For the way and the methods of recording the abandoned properties see ‘Emval-i Metrûke Hesab-ı Cari Defterinin Suret-i Kayıt ve İsti’mâli,’ in the same source. 27 Article 12 of the Supplementary Law. The Abandoned Properties Commission also played the role of distributing the Armenian properties to the incoming Muslim refugees (Dündar 2001). 31 ‘14 Mayis 1331 Tarihli Kanûn-ı Muvakkat Mûcibince Âhar Mahâllere Nakledilen Eşhâsın Emvâl ve Düyûn ve Matlûbât-ı Metrûkesi Hakkında Kanûn-ı Muvakkat’ Takvim-i Vekayi, 14 14 Eylül 1331 (27 Septembre 1915) # 2303. 34 ‘26 Teşrini-evvel 1331 tarihli 14 Mayıs 1331 Tarihli Kanûn-ı Muvakkatın Suver-i İcrâiyesi Hakkında Nizâm-nâme,’ Takvim-i Vekayi, 28 Teşrini-evvel 1331, # 2345. 35 See ‘Emvâl-i metrûke hesabı carî defterin sûreti kayit ve istimali.’ The basic registers would have 14 accounts pertaining to the movable and the immovable properties (Onaran2010 : 73). 36 Taner Akçam believes that it is very difficult to find the registers of the Abandoned Properties Commission (Akçam 2009: 212). Onaran, on the other hand, believes that there should be at least 66 registers available (Onaran2010: 71-74, 103). 37 Akçam provides numerous examples from Trabzon, Sivas, and Adana on the irregularities carried out by the Abandoned Properties Commissions (Akçam 2010: 130-131). 38 U.S. National Archives, Record Group 59 (NA, RG 59), 867. 4016/126, Oscar Heizer to Morgenthau, July 1928, 1915 (Sarafian 2006: 180-181). 39 From J.B. Jackson, American Consul of Aleppo, Syria, to the Honorable Henry Morgenthau, American Ambassador, Istanbul, August 19, 1915 Source: NA/RG59/867.4016/148 (Sarafian 2006: 207). 40 Rev. Jernazian argues that the Abandoned Properties Commission seized about 140,000 gold pieces that were left at the Ottoman bank as a capital fund (Jernazian 1990: 95). It is interesting to notice that the Georgian Armenian Cathedral and the Catholic Armenian Church at Erzerum were filled with goods of various kinds which had been entrusted to the Imperial Ottoman Bank by the Armenians before they were deported. These goods were entrusted to the Bank and the keys were in the possession of the Bank. The director had told Jernazian in confidence that upon instructions from the head office he had refused to deliver up the keys to the local police authorities. From Sir Oscar H. Heizer, American Consul of Trebizond, to the Honorable Henry Morgenthau, American Ambassador, Istanbul, September 25, 1915 Source: LC/HM/(Sr.)/Reel 7/718 (Sarafian 2006: 291). 41 John Antreassian (b1897), a survivor from Daşlık (Sivas), in an intervew with Vazken Parseghian 1970. 42 Mary L. Graffam, ‘Miss Graffam’s Own Story,’ 28 June, 1919, ABC 16.5, Vol.6, No. 274. ABCFM archives. 43 In 1918, upon hearing that Germany was losing the war, Herr Eckart began transporting the stolen goods to Aleppo. On one of his trips to Aleppo he was arrested by the Turkish government and was imprisoned for stealing money and property, i.e. the abandoned properties which belonged to the Ottoman government. 44 BOA.DH.SFR, nr.54/202 in Türkiye Cumhuriyeti, Başbakanlık Devlet Arşivleri Genel Müdürlüğü, Osmanlı Belgelerinde Ermeniler (1915-1920) [The Armenians in Ottoman Documents (1915-1920)] Ankara: Başbakanlık Basımevi, 1994 (Osmanlı Arşivi Daire Başkanlığı, Yayın No. 14). 45 BOA.SFR,nr.54/381 in Türkiye Cumhuriyeti, Başbakanlık Devlet Arşivleri Genel Müdürlüğü, Osmanlı Belgelerinde Ermeniler (1915-1920) [The Armenians in Ottoman Documents (1915-1920)] Ankara: Başbakanlık Basımevi, 1994 (Osmanlı Arşivi Daire Başkanlığı, Yayın No. 14). 47 Âher mahallere nakledilmiş olan eşhasın 17 Zilkade 1333 ve tarihli Karâr-nâme mûcibince tasfiyeye tâbi tutulan Emvâli hakkında karâr-nâme. 16 Rebi ul Ahır 1338 ve 8 Kânun-ı Sani 1336 (8 Ocak 1920) tarihli. 48 14 Mayıs 1331 tarihli kanûn-ı muvakkat mûcibince âher mahallere nakledilen eşhasin Emvâl, düyûn ve matlûbât-ı metrûkesi hakkındaki 13 Eylül 1331 tarihli kanûn-u muvakkatıin bazı mevâddını muaddel ve 20 Nisan 1338 tarihli Emvâlı metrûke kanûn-ı nasih kanûn. 49 See Tableau approximatif des Réparations et Indemnités pour les dommages subis par la Nation arménienne en Arménie de Turquie et dans la République arménienne du Caucase. (Paris, Imp. P. Dupont, 1919). The table provides detailed information about the properties owned by the Armenians of Cilicia. 50 Âher Mahallere Nakledilen Eşhasın Emval ve Düyûn ve Matlûbat-ı Metrûkesi Hakkındaki 17 Zilkade 1333 ve 13 Eylül 1331 Tarihli Kanunu Muvakkatin Bazı Mevaddı ile 20 Nisan 1338 Tarihli Emval-i Metrûke Kanununu Muaddil Kanun Kanun No : 333 Kabul Tarihi : 15.04.1339. Türkiye Büyük Millet Meclisi Kavînîn Mecmuası, C.1, p. 407. 53 The Bank Crédit Lyonnais was founded in 1863 in Lyon by Henry Germain. It was nationalized in 1945. It opened its first branch in the Ottoman Empire in 1875 in Istanbul, followed by Izmir and Jerusalem in 1890. 54 A good study on the economic dimension of the Holocaust is Gerald D. Feldman and Wolfgang (Wolfgang and Feldman 2004) andGötz Aly (Aly 2007). 56 The first of these laws was enacted on June 21, 1948 and was called the Abandoned Property [nekhesim netushim] Ordinance No. 12 of 5708/1948. The purpose of the law was to create a degree of state control over the situation in order to avoid spontaneous seizures of refugee lands. Three days later another law called the Abandoned Areas Ordinance was passed that provided a legal basis for extending Israeli jurisdiction to ‘abandoned areas’ of Palestine. A third law entitled the Emergence Regulations for the Cultivation of Fallow Land and the Use of Unexploited Water Sources of 5709/1948 was passed on October 11, 19148 which gave the Minister of Agriculture the authority to assume control of any land that he deemed not being cultivated (Fischbach 2003: 20-21).